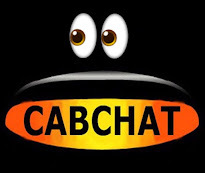 It is obvious from the constant phone calls emails texts and tweets we are receiving now on a daily basis at the United Cabbies Group that the debacle of the CRB / DBS checks continues, Existing Cab Drivers worried sick that their licence has or is about to run out, and Knowledge Boys who are being delayed from getting their badges. In July 2015 we contacted Liberty asking them if they could help us in any way with the problems being created by the Metropolitan Police who would seem to be the main protagonist in the broken CRB / DBS system. 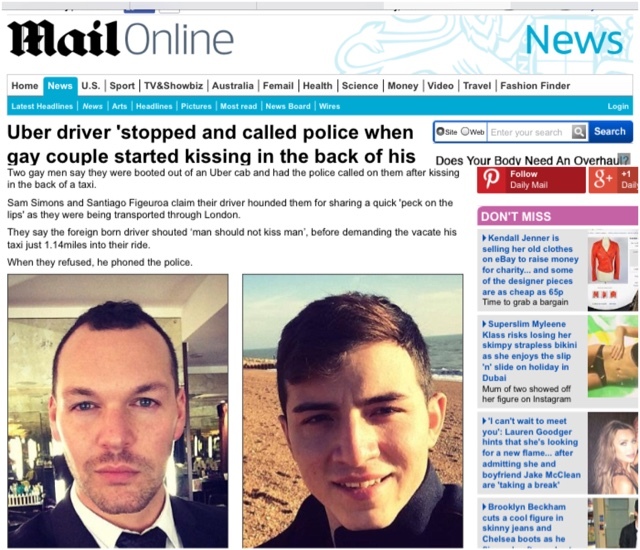 After many emails and phone calls at the end of August 2015 to our great delight we were told by Liberty that they felt Drivers Human Rights were being violated and subject to enough evidence being found they had been allocated a budget to issue legal proceedings against the Met Police. We were asked by Liberty not to tweet or put this out on any website or Trade Magazine as they felt that it would warn the Met what was about to take place and there was also a possibility that an awful lot of misinformation could be forwarded by people trying to get this shut down, We then put Liberty in touch with all of the other Trade Orgs and apart from Unite who did not want to get involved ALL agreed to email their members. 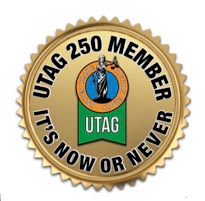 At the beginning of this Month an email was forwarded by Liberty to ALL Trade Orgs which the UCG emailed to all its Members, about a week later Liberty informed us that the response to their email had been very tepid, and felt that maybe we had exaggerated the scale of the problem. As a result we made enquiries and confirmed via several UCG Members who are also Members of the other Orgs that whilst we could confirm RMT Members had received Liberty’s email LCDC and LTDA Members had not. 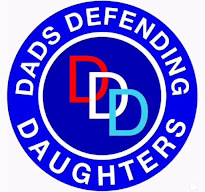 We were then informed that the LCDC and the LTDA were stating they had never received the original Liberty email, as a result the email was sent to both Orgs again. In case there have been further mishaps in the distribution of Liberty’s email we would ask any Driver or Knowledge boy immaterial whether in an Org or not that wishes to provide in strictest confidence information relating to delays by CRB / DBS to contact the UCG direct via email to admin@ucglondon.org.uk or direct message to @UnitedCabbies on twitter or call 020 7100 5206 and we will forward the Liberty email to you no strings. We will have one shot at this People please do not waste it !! 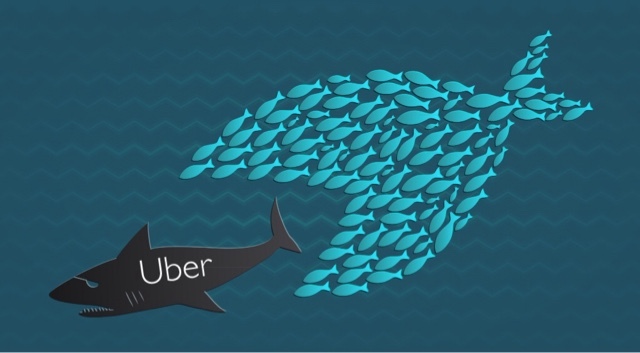 Uber reportedly, spending 'hundreds of thousands' of dollars a day offering discounted fares. 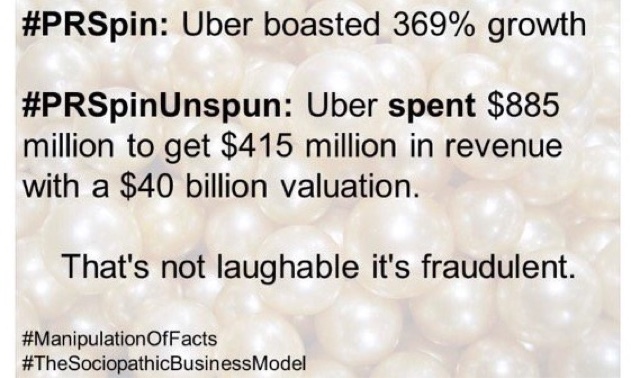 Uber is said to be planning to try and raise another billion dollars on top of the $8 billion it has already raised. It's said, Uber is looking to raise its new funding round at a valuation of $60 billion to $70 billion. Its last funding round in July was done at a valuation of $50 billion. Apparently Uber tells investors that the ultimate game plan is to become a delivery service like Fedex - using private cars to deliver parcels, shopping and meals. However it does not appear to have had any success with this aspect of its business. To get into the China market, Uber is, reportedly, spending 'hundreds of thousands' of dollars a day offering discounted fares. Rio de Janiero has declared the service illegal, London is looking tighter regulations and a couple of execs are being tried in France in a case deferred till February. Thailand, Singapore and Vietnam are considering regulation while numerous cities are investigating the controversial service. TfL's Report On In Cab Mandatory Credit Card Payment Facility. We did try to warn you. We said "be careful what you wish for." Reports of alleged secret meetings between certain credit card machine suppliers and TfL were all over social media. Taxi Leaks gave full details of the CC consultation. We also predicted the outcome, should apathy see drivers not bothering to fill it in. Well, it appears that only 538 taxi drivers out of a possible 25,000, were bothered enough to reply and now the writing is on the wall. The consultation results are at this moment being collated. TfL will now do as they like, as usual. As we predicted, TfL are stipulating only approved equipment will be allowed. The major machine suppliers are allegedly rubbing their hands at he news, card payment machines are to be fitted mandatory, under the conditions of fitness regulations. At present, equipment is offer free (under certain terms and conditions). But will this situation change in the near future, when the equipment finally becomes compulsory in every vehicle? As TfL seem to love a statistic, we would point out, at present over 66 % of the major CC payment equipment suppliers add a surcharge of 10% to passenger accounts. We also predict TfL will be taking active steps to see the driver paying any surcharge, as they feel the customer should only have to pay the meter price. Again it will be the driver, who will be forced to pay a premium to a third party. The email below has been sent out to most of the people who filled in the consultation, leaving a valid email address. Already, you can see TfL starting to spin the consultation replies to fit with their own agenda. We received 1,097 responses to the consultation. 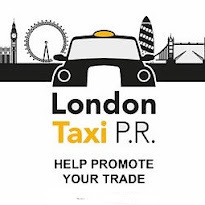 49 per cent of respondents (538) identified themselves as taxi drivers – 45 per cent of these were All London drivers (497) and 4 per cent were Suburban drivers (41). 27 per cent of respondents (300) were taxi users. 86 per cent of respondents (939) supported the introduction of card payments in all taxis in London, with 68 per cent of respondents (743) supporting contactless payments. Lets have a close look at the legal implications contained in this TfL report, posted on their website on the 22nd of this month. Funny, when we leaked this information a few months back, we were shouted down by certain third parties who have a conflict of interest. We were also accused of trying to start malicious, untrue rumours ! 'This will be included as a requirement in the Conditions of Fitness, which set out the requirements that all vehicles must comply with to be approved for use as a taxi in London or for the taxi licence to be renewed. The existing guidelines on electronic payment devices in taxis will also be updated to include the new requirements and all devices will still have to comply with these guidelines – companies wanting their devices to be approved will still be required to contact TfL and submit evidence confirming that their devices meets the relevant standards and also demonstrate where it would be fixed inside a taxi. The Cab Order will also need to be amended to make acceptance of card payments a condition of taxi driver licences. 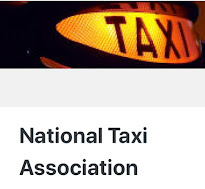 A new policy will be published setting out what points will be considered and potential action taken when a complaint is received about a taxi driver refusing to accept a credit or debit card payment or not having a working credit or debit card payment device that complies with the relevant requirements. Before this is finalised, perhaps TfL would like to inform the trade just what they consider to be an approved Card Payment system! Perhaps TfL would care to explain further if/how they intend to make card payment acceptance mandatory, as at present the law (as it stands) doesn't allow this. 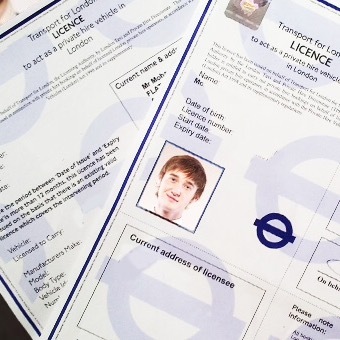 TfL say they will make it part of the conditions of licensing of the driver. Although it is our policy that more drivers should take card payments, we believe it must remain voluntary. We also firmly believe that drivers should be free to choose which system of clearance they want to use. Verifone, TaxiWorld, CabVision, CabApp, iZettle, PayPall, Hand Held, Radio Circuits and other Smart Phone Apps are all viable options to most drivers and that's how it should stay. Which could then manipulate rentals and surcharges. Taxi Leaks roving reporters have been carrying out a covert survey, talking to and observing drivers on ranks. Our results, based on the figures returned, show that 7 out of 10 drivers now have some means of clearing card payments, be it machine or smartphone based. Over the last year, there has been a positive escalation in card payments acceptance which will continue to expand. Semtex Comment On The Uddin Case : "Is It Really What The Public Wants Mr Daniels?" This of course, is the reality of what our trade continue to scream about ! 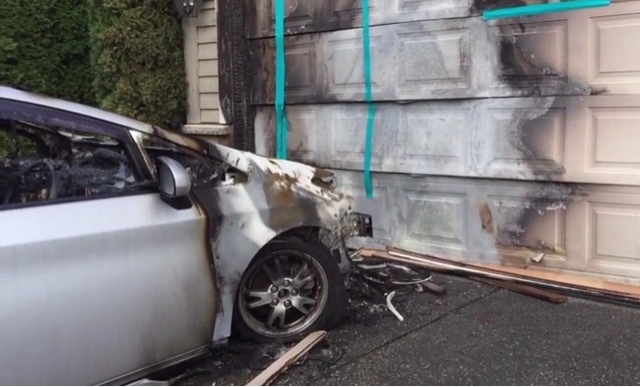 Who would you think is to blame for this tragic outcome ? The illegal mini cab tout Matab Uddin who despite previous convictions for touting in the past, had reoffended and caused this tragic waste of a young man's life ? The Police, for their service who notoriously and generally list mini cab touting as a low priority crime, and therefore respond with inadequate legal enforcement ? The fatally injured Oliver Farrell himself, for knowingly getting into a vehicle that had not been legally hailed or pre-booked, and opting for a more dangerous and sadly fatal option ? Or Transport For London themselves, for continually failing to provide vigilant enforcement for the compliance of the licences that they sell like toffee apples from a market stall ? In this sobering case, it appears that Uddin was an unlicensed tout, and therefore the very virtue that he had no licence to comply with in the first place, would legally exonerate TFL. I believe that TFL, The Police Service and indeed the public themselves, should all take a portion of blame what has occurred here. I also believe that with the massive influx of zero professionally trained drivers such as Uber, these incidents will be on the rise. I have always said that it is only when fatalities occur, that the authorities will take notice. As a family man with kids of Oliver Farrell's age, I can naturally imagine what heartbreak, devastation and eternal grief this death will cause his poor family. But unless TFL, and the Police Service who constantly display a blasé unprofessional enforcement deployment attitude to mini cab touting, start to up their game, serious consequences such as these will be regular. As for the travelling public who repeatedly accuse the professionally trained London Taxi Trade of being too expensive............I would bet my life on it that the grief suffering family of Oliver Farrell, would have paid anything to turn back the clocks, and seen their loved one hail down the world famous yellow light of a Professional, Safe, London Taxi Driver on that fateful night. As I have said a million times before, you pays your money and takes your choice. 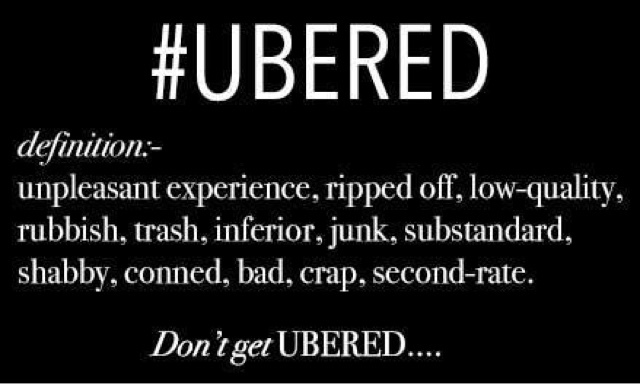 If you want cheap and ill trained, then go ahead and roll the dice with your Uber ride. Its your choice, your decision and your pulse you are risking, nobody else's. The London Black Cab Trade haven't lasted 400 years because we are too expensive. We have survived the ebbs and flows of economic turmoil simply because the yellow light on top of our cabs represents fairness, expertise, soundness, safety, reliability and platinum standard professionalism. London is awash with illegally touting mini cabs every night of every week of every month. The harm that it is causing isn't just a tragedy to the reputation and image of our once great capital city, it is incredibly dangerous and an inherent failure to protect our travelling public. Leon Daniels once replied to our concerns by saying "it's what the public wants." Is it really Mr Daniels ? I wonder if Oliver Farrell's family would agree with that this morning ? Minicab Tout, Jailed For Causing Death By Dangerous Driving. A convicted minicab tout who killed his passenger through dangerous driving has been jailed for eight years. Matab Uddin 59 (20.01.56) of Blackshots Lane, Essex was found guilty of causing death by dangerous driving and fraud. He was sentenced at Inner London Crown Court on 22 October. The court heard how police were called on Sunday, 17 November 2013 at about 01:45hrs to reports of a man injured on Essex Road, N1. Officers and London Ambulance Service attended and took the 27-year-old victim, Oliver Farrell, to the Royal London Hospital where he died three days later. A post-mortem examination took place at Poplar Mortuary on Thursday, 21 November 2013 and gave the cause of death as head injuries. Officers from the Serious Collision Investigation Unit launched an investigation. Mr Farrell had spent the previous evening celebrating his brother's birthday, and was making his way home from Old Street. He was picked up by Uddin, an unlicenced minicab driver, with previous convictions for minicab touting. A short while later, Mr Farrell got out of the cab to use a cash machine, however Uddin drove off, leaving Mr Farrell in Essex Road. CCTV showed Uddin returning a few minutes later, pulling up next to Mr Farrell, who leaned through the open passenger window. Uddin then drove away at speed, while Mr Farrell clung to the car. After being carried along for about 100 yards, he lost his grip and fell to the ground, suffering a fatal head injury. Uddin failed to stop at the scene and made off. However the incident was witnessed by a taxi driver, who happened to be driving behind Uddin, and took down his registration number. CCTV on Kingsland High Road caught Uddin making a dangerous manoeuvre, crossing a central reservation during his getaway. 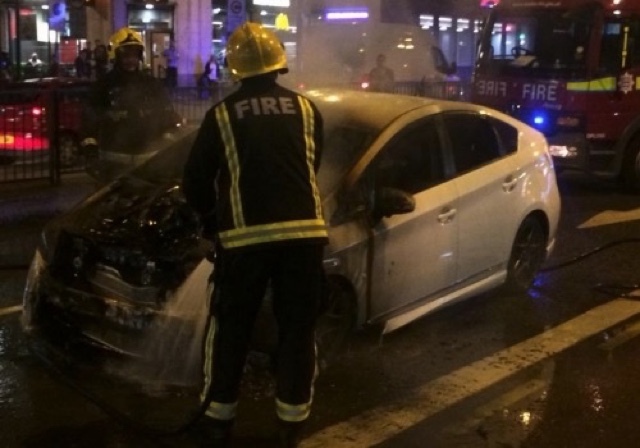 The car registration details taking by the taxi driver proved vital in identifying Uddin, who was arrested in connection with the incident after handing himself in at a north London police station later that morning. "I would like to pay tribute to the Mr Farrell's family, who have retained the utmost dignity throughout the whole investigation and court case. My thoughts remain with them." 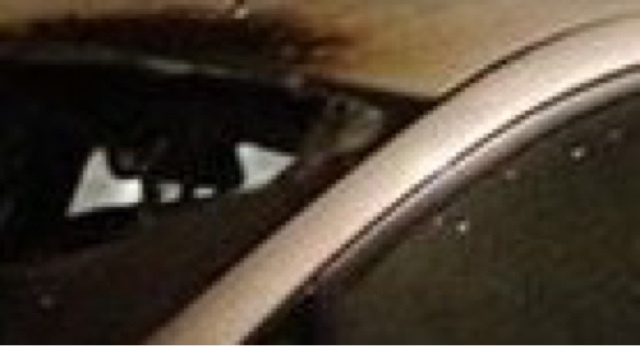 "This case highlights the dangers posed by unlicensed minicabs. People trying to make their way home, especially late at night should only use pre-booked licensed minicabs or black cabs. This is a tragic case for all involved and it stemmed from the unscrupulous actions of Mr Uddin. Our investigation showed he was illegally touting and on this occasion drove off without any regard for Mr Farrell's safety. He then failed to stop and made clear attempts to flee the scene." "Having to experience nearly two years to arrive at this position has been a hugely traumatic and terrible experience for us all, however it is incomparable to the pain we have felt and will continue to feel from the fact that Oli's future has been taken from him and that such a bright light in our own lives will never be with us again. No punishment will ever bring Oli back, however we seek justice for the benefit of greater society to reduce the chances of other families having to experience what we have been through and will continue to go through. Oli was a fair man and would want nothing more and nothing less than this. "We would like to take this opportunity to thank the police and those present here today for the compassion they have shown us." The Battle For Bank Junction : CoL About To start A 12 Month Trial Of Bus And Bikes Only. This is a plan to remove all vehicles except buses from Bank Junction and restore it to its traditional role as a major public space in the Square Mile. Just when you thought it couldn't get any crazier. After witnessing daily/nightly gridlock, caused by the uncontrolled proliferation of private hire licenses (currently expanding London's minicab fleet by 650 extra vehicles every week), resulting in London being labelled as one of the worst polluted city in Europe, the city planners have dreamt up a scheme to reduce through traffic in the square mile -or the 1.12 sq mile to be precise- regardless of the impact it will have on other parts of the capital. But will it be fair to all, or will the wealthy and well connected be afforded special privileges plus a get out of jail free card? Can you really see the noble city fathers arriving at the Mansion house/Guildhall, on a bus! 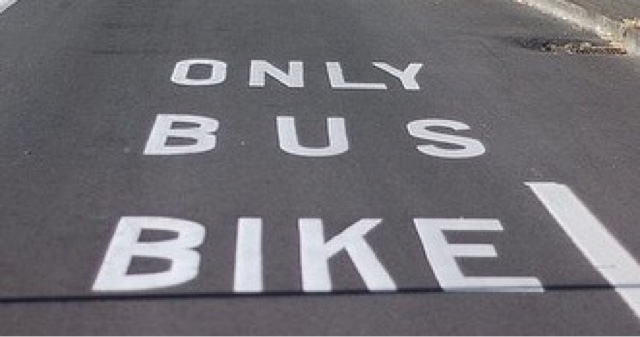 or, God forbid, on a bicycle. Perhaps their ostentatious fleet of Rollers and Bentleys (the ones that normally wait outside events on double red lines, loading bays and zig-zags) could be replaced by rickshaw bikes, afforded the privilege of pedicab ranks! Boris is likely to be OK with all this, seen above giving his wife a quick backsie. The trial seems to be supported by the usual suspects. Even in the face of strong opposition. So there's a surprise, TfL have OKed it. In the wake of the last disastrous trial at the rotunda on London Wall, which saw permanent gridlock, have the CoL and TfL learned nothing? Licence Renewals Fiasco : An Open Letter From Sean Day. I'm sure Ms Chapman would agree that civil servants have the job of ensuring that a contract is done properly - accurately - on time - and in accordance with the prescribed legislation - so any significant failure would solely be the responsibility of the civil servants. With this, I am referring to Ms Chapman’s indisputable and corroborable defiance regarding her decision to not issue temporary licenses to taxi drivers who's Bill has been delayed by a backlog in applications made to the Disclosure & Barring Service (DBS). Are those affected to understand that Ms Chapman is acting against the Mayor’s behest, or can they assume it is merely the posturing and appeasement typical of what drivers have come to expect of Boris Johnson? 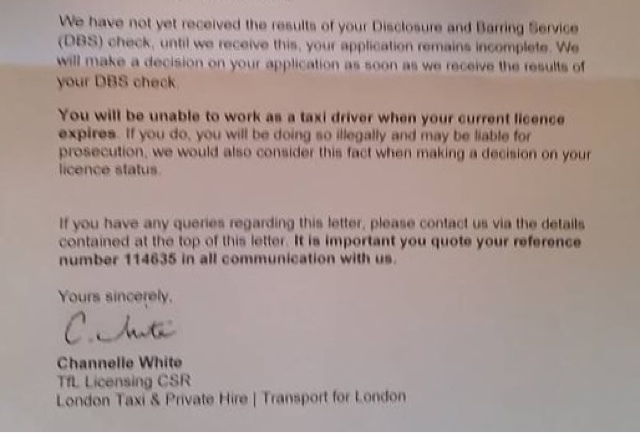 TFL cannot absolve themselves out of this, the vast majority of renewals clear before the old license expires, and the DBS carrying out these checks have been put under enormous pressure by the recent increase of new Private Hire driver applications, currently running at a minimum of 600 a week. TFL’s contribution to this backlog is therefore indefensible, who, despite the severity of the situation, vehemently refuse to cap PH licenses even when it is perfectly permissible for them to do so (despite their protestations). I’d like to know how Ms Chapman justifies such an illogical stance? Public safety is not a viable proposition when juxtaposed to the discrepancies that exist where cases cannot be subjected to a full and comprehensive police check. The risk involved in granting an interim license to a taxi driver who has completed the necessary paperwork, has remunerated the current licensing authority- a transaction that happens remarkably quickly- and is of previous good character, is miniscule. Earlier this year, Taxi Leaks editor Mr. Jim Thomas wrote to Sir Peter Hendy drawing his attention the Transport Act of 1985 section 17 subsection(7). Any unnecessary delay due to a grossly understaffed administration is no fault of the driver, nor should it be of any consequence. No one should be impoverished by a regulator who refuses to address an insoluble dilemma. How can Ms Chapman justify upholding mandatory prerequisites that are unachievable? This contradicts the very requirements that TFL themselves impose. Neither should Ms Chapman point the finger elsewhere, this desideratum is solely an insistence of TFL. Any other organisation open to legitimate scrutiny would never condone such a diabolical administrative procedure. By this equation TFL are systemically failing in their duty to REGULATE, and such blatant dispossession of governance should be addressed in the first instance. This deplorable situation could be helped if TFL relaxed pressure on the DBS by capping the number of private hire licenses. Again, it is disingenuous of TFL to state that they do not have the legal power to do so. This is absurd. The law- or its omission thereof- is innominate. Subsequently, there is nothing intractable that compels or prevents TfL issuing licenses. It’s a nonsense that is being passed off as obliging congruent procedures. Anyone that cares to check, the guidelines refer to a person meeting certain criteria that allows them to apply for a license. The emphasis is on eligibility. Submitting an application for a licence does not make issuing a license compulsory. Indeed, mitigating circumstances such as the inexorable increase in motor traffic congestion, the ensuing pollution as a result of increased motor traffic, and the insurmountable backlog of DBS applications, are all deterministic factors for capping licenses. It is my opinion that the implementation of an unjustifiable caveat that is not included in the Transport Act, constitutes maleficence on the part of the licensing authority. Notable also, any adjustments made to the start date of new licenses issued, effectively showing a discontinuation, cannot be considered as anything other than unethical business and political practice. I am advising drivers who's license renewal has been delayed relating to the above information, especially if the time period has exceeded 60 days, and if they are a member of the UCG, to give them a call. In fact, all drivers who are experiencing intolerable hold ups, I suggest contact representatives at the earliest opportunity. Threatening letters are being sent to drivers waiting licence renewals. So, just who is in charge here? Boris Johnson, or Helen Chapman? 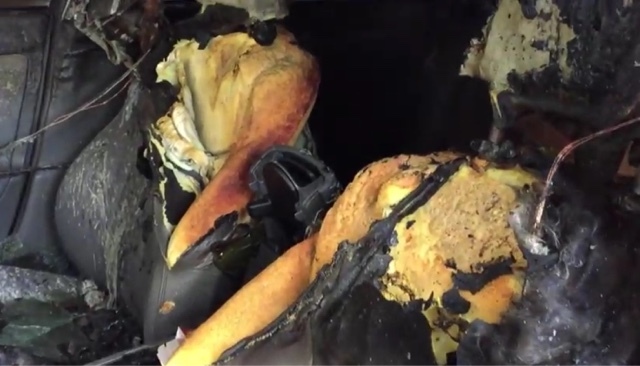 Another Uber Prius In Spontaneous Combustion Issue. 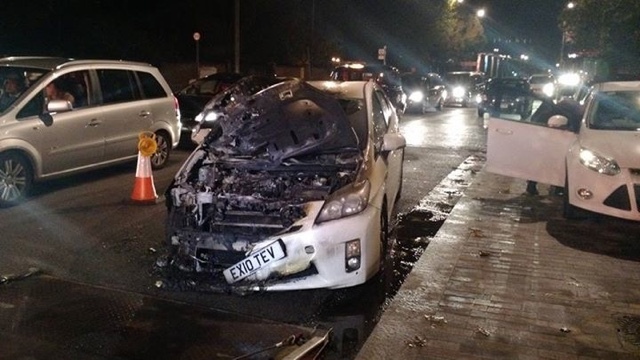 Another Uber Prius has burst into flames, this time on York Way. This is what happens when drivers share vehicles and the car is on the road virtually 24 hours a day. 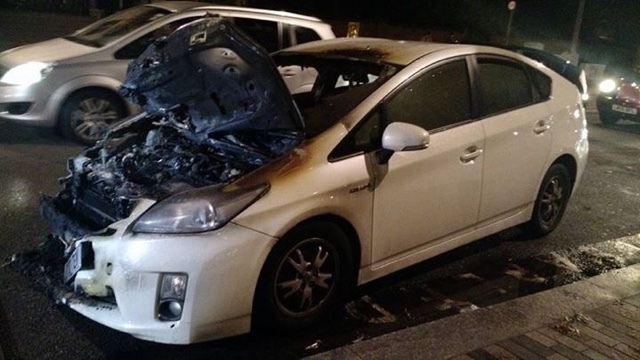 Here are just a few of the other Prius' that have spontaneously burst into flames over the last few months. This will probably be a familiar sight as more and more of the new 600 PH drivers per week, realise they can't afford to rent/lease these vehicles on their own and take to sharing with other drivers. This vehicle is not suitable to be used constantly over a 24 hour period, as we've seen. 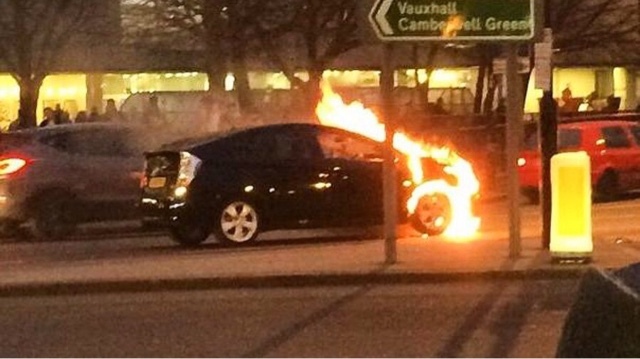 But will TfL take the same line they did when TX4s were spontaneous combusting? How long before someone is seriously burned or even killed? 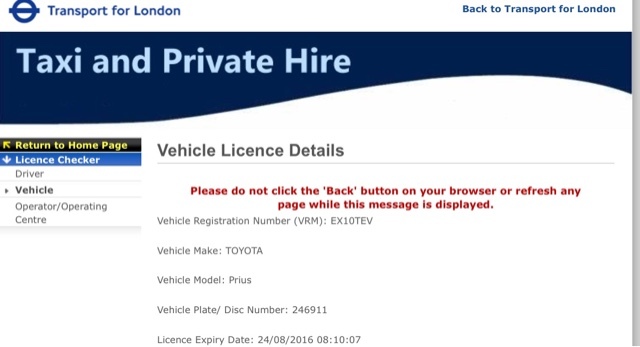 Will TfL enforce a recall and take these seriously dangerous vehicles off the road until they can be modified, so as not to put the public at risk. Well, I wouldn't hold your breath waiting. Normally, the first thing these drivers take from the vehicle when they're involved in an accident or major incident, is the private hire licence roundel. Doesn't look like this driver had time. Private hire company Uber is trying to drive black-cab drivers out of London, according to a prominent Tory. 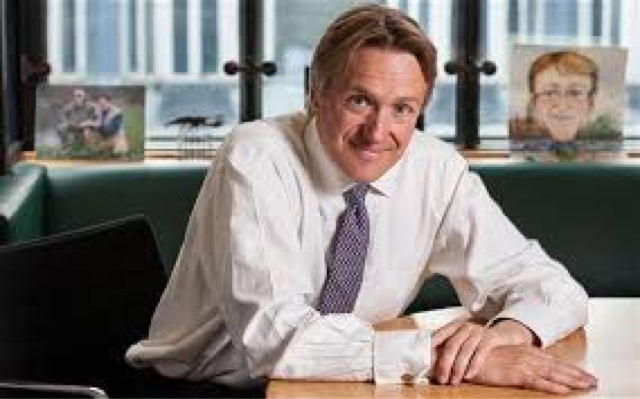 Charles Walker, MP for Broxbourne, made the claim after the High Court ruled last week that Uber drivers' smart phones are not taxi meters, making its operation in London legal. The case was brought by Transport for London and Uber to seek clarification on the point, as London cabbies claimed Uber drivers were operating with illegal meters. Mr Walker said: "The bigger issue is if you want a licensed black-cab trade in London. "Black cabs are heavily regulated, and that means they have a high cost of doing business. "But it's whether you want to invest in that licensed taxi trade, and that investment is four or five years doing The Knowledge." The Knowledge is an intensive test of more than 6,000 roads, taken by London cab drivers. Uber drivers are not held to the same regulations, but they must take a "private hire test". Many black-cab drivers live in Broxbourne, and some have voiced concern that Uber could soon be looking to expand into the borough. 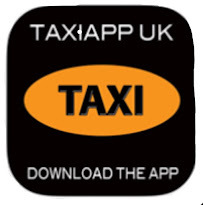 Cab driver Tony Siracusa, who is also chairman of the regulatory committee at Broxbourne Borough Council, said: "As far as I'm concerned and the industry is concerned, it is a meter. "They should only be able to give a set price, the reason a taxi can have a meter is the driver will have The Knowledge." He added: "If they applied for a taxi licence in Broxbourne, I don't think it would be passed." Fellow cab driver Steve O'Hara, a boxing coach at Cheshunt ABC, said drivers were looking to challenge the decision at the Supreme Court. He added he was concerned that as many as 600 private hire licences are being issued in London each week and this could have an impact on roads. Brighton And Hove Council Licence Uber As PH Operator. UBER, COMING TO THE STREETS OF BRIGHTON. The company had applied for a licence to operate in the city. A decision was put on hold earlier this week. But earlier today we were informed that Uber will now be granted a private taxi hire operator’s licence by Brighton & Hove City Council. The council says it is minded to grant a licence for a year from its launch date, yet to be announced. Councillors on the panel have agreed Uber can operate initially for a year to test their commitment to meeting the city’s taxi service standards. They would have to abide by all the conditions in the Blue Book – a set of guidelines for the local cab trade. Going by Ubers past performance, they run roughshod over regulations, saying it's easier to seek forgiveness than permission. Uber stated at a licensing committee meeting on Monday’s that they wanted to be treated the same as every other operator in the city. 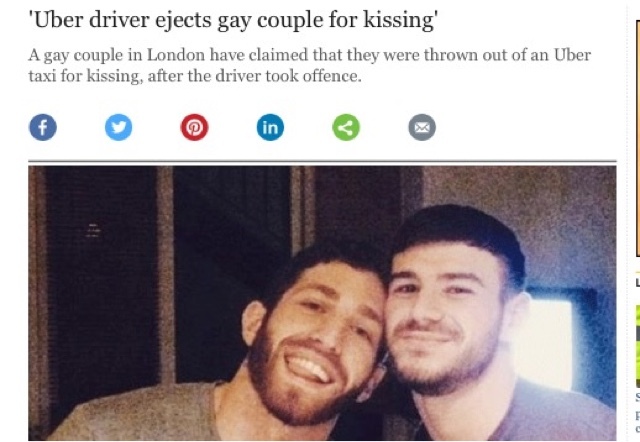 They would only be allowed to send Brighton & Hove-registered drivers to pick up customers. Other taxi operators shared their concern at Monday's meeting about the company operating on an un-level playing field. However at this stage they were not able to provide detailed information about commencement dates and service details. Work on these could not start until the firm was certain they would obtain a licence. All Uber drivers will have to hold the same licence as any other private hire driver, which includes a check by the Disclosure and Barring Service (DBS), successor to the Criminal Records Bureau (CRB). Uber representatives told the panel they were already licensed in 33 council areas in the UK, though not yet operating in all of them. Perhaps Cllr Mo should have also insisted that each vehicle should carry hire and reward insurance as a protection to passengers and other third parties. Uber have already received fines in London for falling to oversee their "partners" ar fully insured. 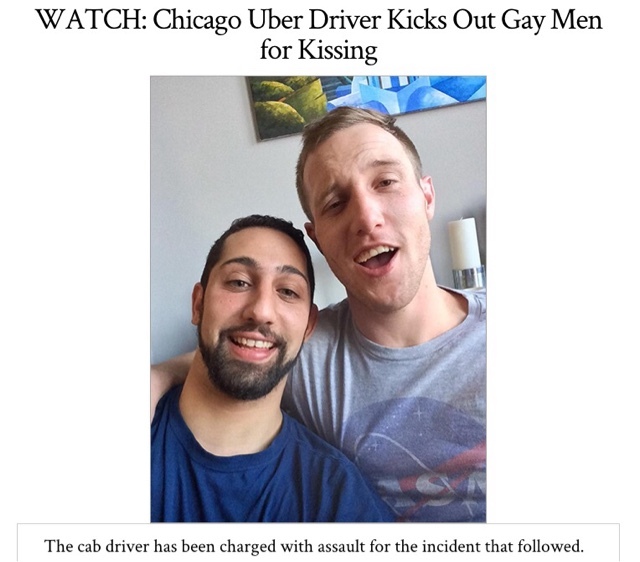 Should be very interesting to follow this story, considering the homophobic views of many of Uber's drivers. 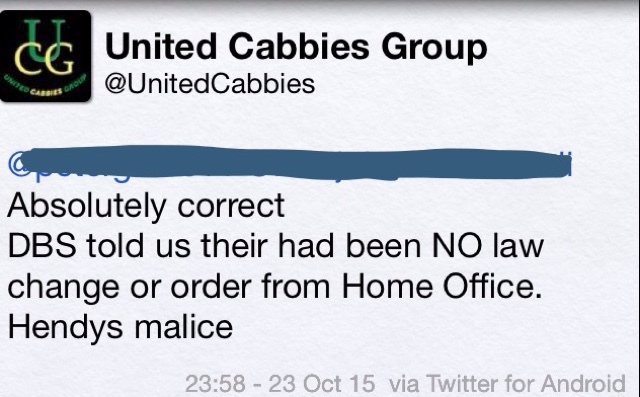 TFL GET IT WRONG...AGAIN : UCG ASK FOR REPORTS OF COMPLIANCE ACTIVITY. 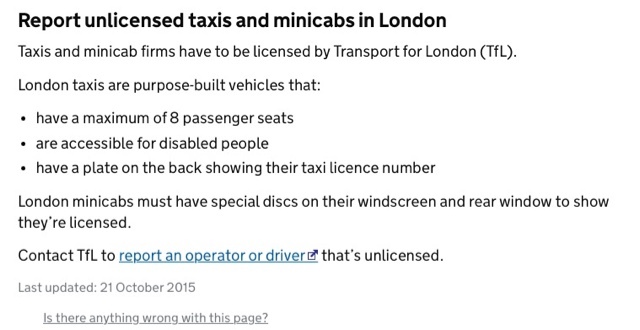 TfL are appealing for reports of any unlicensed taxis and minicabs in London. But can't even get capacity right! Also, please don't forget to report sightings of any form of enforcement or compliance over his week end. The UCG campaigns committee, invite drivers to tweet any sightings of Taxi/Minicab enforcement, either from the Police (Met and CoL) or LTPH compliance (Operation Neon) from Thursday, through to Sunday. Please use the hashtag #SpotTFLTPH as we are compiling a deployment record of place, time and date where compliance teams are seen. Alternatively, if you don't have a Twitter account, you can post sightings to our FaceBook page. Don't forget to add the hashtag #SpotTFLTPH give location, time and date,as this makes it easier to collate all the data. Photos are also welcome but please don't attempt to use camera or phone unless stationary. 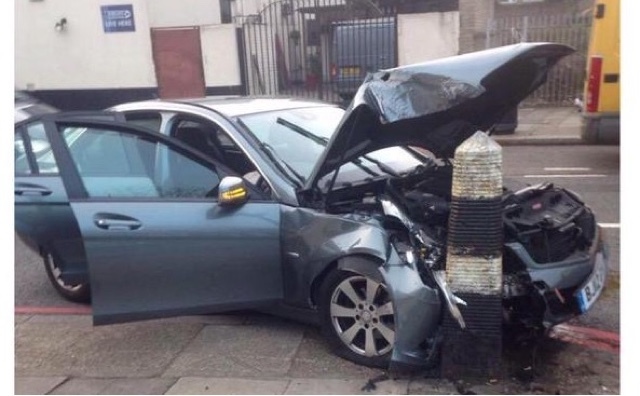 Londoner woke up on the weekend to discover his Uber profile had been hacked and his bank account emptied. Neil Thomas, 35, from Ladbroke Grove, was billed just over £2700 for four journeys he never made. He's adamant no one else had access to his phone, which was by his bedside all night, and is protected by a six digit pass code and touch ID fingerprint recognition. Musician Neil noticed payments for £5, £756.03, £1395.89 and £551.97 had left his account overnight when he checked his bank statement on Saturday morning. Neil's Nationwide bank statement showing the three payments leaving his account on Friday 16th and Saturday 17th. “I contacted Nationwide and was told Uber had made a number of withdrawals from my account,” Neil told us. When he contacted Uber to find out how his account had been hacked, Neil was given a cyber security lecture. They advised him not to use the same passwords and email addresses across different platforms. As an apology, they offered Neil £12.95 off his next Uber – over two pounds less than new customers get just for signing up! “They gave me the usual line of ‘we take your security very seriously’,” Neil told us. “But I want to know how somebody can go into your account and take your money. “I’m disappointed Uber doesn’t have any safeguards against this – it’s obvious that a fare of £1,395 is suspicious. It’s not the first time doubts have been cast over the Uber app’s security. Earlier this year thousands of customers, including TV presenter Anthea Turner, also claimed they were charged for trips they did not make. Whilst Uber have refunded Neil, he has no way of withdrawing money because the hack prompted Nationwide to cancel his debit card. “I’ve had to cancel events as I can’t get there or pay entry so it’s been a major inconvenience,” Neil explained. We contacted Uber to ask them to explain how Neil’s account was hacked and how other users can stay safe. Not satisfied with this response, Neil has brought his complaint to A Spokesman Said to raise awareness. Letters To The Editor : The Best Solutions, Always The Simple Ones. The current crop of compliance officers are paid on nights far in excess of a Police constable in the Met/City Police, British transport Police or any regional force. Semtex quite rightly says, without powers of arrest or powers to STOP they will achieve nothing. £38,000 for working a 37 hour a week is fantastic but what is their brief from their bosses. I attented a meeting with Danny Sullivan and unite's Peter Bond about compliance enforcement before the Olympics with Helen Chapman and ex cab enforcement pc Paul Smithers. Paul Smithers name I had never heard of before who worked under sgt Dave Hilson. I believe he must of kept his head down running up to retirement. So now he is Helen Chapman's consultant who told the meeting that there are 69 warranted cab enforcement officers. Has anyone ever seen them? I told Helen Chapman that compliance teams should consist of at least one Policeman/Cab Enforcement officer and two compliance officers in a van. The copper can put on a high viz coat eg in Bayswater road, he can then stop two minicabs followed by one taxi to do a compliance check. Simple you might think.... But Helen chapman was having NONE OF IT. The Street offences squad who patrol Oxford Street should take over the compliance teams. They know who the villains who steal from tourists in the west end and will take them 5 minutes to know the people touting in Minicabs. Lets cut the team in half and only keep the best dedicated staff. The Met say, Cab Enforcement officers are warranted, have the power to stop/arrest but we're told they don't have the budget. So what do they do with the money TfL give them? On the other hand, TfL compliance say have the budget to employ 82 officers! But these officers, mainly seconded from other duties such as revenue protection, don't have the power of warranted enforcement officers. Surely the solution is simple. Take the budget off the toothless TfL compliance and increase the funding given to the Met Cab Enforcement. But with the stipulation that they only get the money, if the they have a visible effect and we see reasonable results. What ever happened to the hi-vis stops in Bayswater Road, Charing Cross Road and Knightsbridge. How easy to check for H&R insurgence and documentation. Nothing in life makes me more frustrated than professional incompetence. Despite our apparent prolific steps we make in technology, science, medical research, mini cab apps and much more, basic incompetence is all around us as we go about our daily lives. Some of it is caused because the person or persons have been inadequately trained, some of it is caused by lack of interest, despite good training, and some of it is caused by the employers, in an inexcusable effort to save money by not getting the fully trained candidates in the first place. There are probably a million reasons for it I guess, but either way, when blatantly confronted with it, I get really wound up. A few years ago, I was confronted with a serious road traffic collision in Moorgate outside the tube station. The road was two way then. It was a motorcyclist and a van involved. The paramedics pulled up, blues and twos on and then the ambulance just stopped. I was puzzled to see what the problem was for the young lady driver, and assumed there was something blocking the road, which in turn was preventing her access to the scene. I sat patiently stationery in the cab, and so did the paramedics. The two tones were still sounding and her blue beacons were still flashing, although the ambulance was motionless. The motorcyclist at this time had gone into shock and started shaking uncontrollably. Professional help was only 100 yards away, but may well just as been 100 miles ! I decided to get out the cab and see what the problem was. By this time the motorcyclist is in a bad way. The passenger member of the ambulance crew had thankfully grabbed his bag and began a sprint to the scene, but still the lady driver medic sat behind the wheel, 100 yards from the injured parties. As I approached the ambulance, she too jumped out and began making her way to the collision scene. Still bemused, I asked if there was a problem with the ambulance. She looked as me as though I was an imbecile and said "How do you expect me to get the ambulance through there !?" pointing towards the more than ample gap in the traffic. I was utterly flabbergasted ! Every single one of us professional cab drivers would have got the ambulance through the gap at 70 mph, eating a bagel at the same time ! Without thinking, I jumped in the ambulance, pulled it through the gap, drove it up to the scene, and got back into my cab. The applause from the spectating public was rapturous, but believe me, I was no hero. Furthermore, I realise my actions were not only discouraged, but illegal. The motorcyclist and his family would have probably thought differently however. There is absolutely no way on earth, that a professional driver, let alone a professional emergency response driver, should have had any problem with that manoeuver whatsoever! But she did. Her medical skills were probably superb, but without being able to drive both confidently and competently at speed to a motorcyclist losing blood and just gone into shock..............what is the point ? Which leads me to my concerns. Transport For London have always had a Compliance Section for London Taxis and Private Hire, and without sounding disrespectful, they have always been useless. Their conviction record or rather, lack of it, speaks for itself and is dire. Their defence at any slurs that come from the likes of me however, have always been to explain that they just haven't got enough resources to deal with the problem. To a very small degree, I can see the point they make, but in all honesty, if any organisation issue licences for anything, be it driving, shooting, fishing, flying.......whatever, then they have to make arrangements to ENFORCE THE LAWS on the said licences that they charge for and issue, to ensure that all terms of the licences are being complied with and adhered to. Many of our trade remember being under the control of the Metropolitan Police for our licences. Some of us loved it that way, some of us hated it, but that is not the essence of my post. 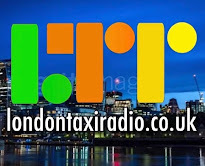 The fact is, when our trade was under the umbrella of the Met, there is no doubt whatsoever, that they did an excellent job of both enforcing the conditions of our cab licences and making sure that our compliance to the said licences were adhered to at all times. Now look at the state of the place! There is not a London Taxi Driver who wont be able to reflect my opinion of how inexcusable and out of control, mini cab touting in our Capital has become. They are everywhere, like ants ! I would like to think that even TFL themselves would admit that the situation of PHV compliance is a huge problem now and effective action needs to be launched immediately. Personally, I think that the powers in charge make far too much of the brief. I applied unsuccessfully for the appointment of Head of Compliance. Had I have got the job, trust me that within a fortnight, the difference in the West End and City would have been apparent, measureable and reducing with every weekend. It's not difficult to enforce the law and to be honest, any surveillance skills that the new man may have....will be wasted. The touts are blatantly obvious ! The problem is though, the Metropolitan Police Service are currently operating on a very tight budget. Coppers are apparently getting buses to crime scenes, ffs ! If that is true, then naturally, mini cab touting not only comes very far down the Met's priority list, but just cannot be dealt with on the current financial structure............end of. So what now then ? If the Police can't deal with the touts for whatever reason............who will ? TFL said they will, and indeed have recruited a very capable and hard hitting ex-copper who comes with an excellent CV. 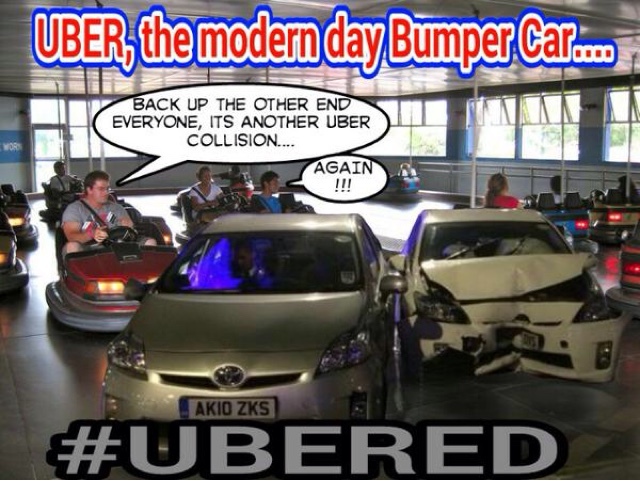 Whatsmore, it is TFL who are selling these mini cab licences, and raking in millions of pounds at the same time. It is surely down to them to supply adequate enforcement to monitor compliance of the licences they are selling ? BUT.......and this is where it gets silly..........what use are the new compliance officers under the new man's command.........UNLESS THEY HAVE FULL POWERS OF LAWFUL ARREST ? To my mind, employing compliance officers to catch touts and deal with them APPROPRIATELY, is akin to employing the paramedic who couldn't drive the ambulance, POINTLESS ! The Met can't even train POLICE OFFICERS to the pre-Hendon standard, let alone Taxi and Private Hire Compliance Officers. So that's the police out of it for any realistic enforcement. So how are we going to deal with this issue then, or rather, how are TFL going to deal with it ? The way I see it is, TFL have been on a recent recruitment drive for these pointless and toothless Compliance Officers. They will probably give it a stab to make it work, but trust me, they will achieve nothing, and at a huge public money cost. This is why I got so frustrated for the 71.2% of the UCG's membership, who voted to suspend the successful Demos, to give the Police and TFL a chance to make it happen. It was impossible ever to happen ! They haven't got the financial budget, they haven't got the professional resources and they haven't got the powers ! So what did our colleagues think was going to happen ? Well, even though I said it at the time, you don't need me to actually prove and show you what has happened since the Demo suspensions, do you ? NOT A GOD DAMMNED THING ! IT'S JUST GOT WORSE ! AND IT WILL GET WORSE THAN IT IS NOW, YOU WATCH ! Part of the City Hall's budget to the Mayor, needs to be set aside for a proper, professional squad of LTPH Enforcement & Compliance Officers, headed by the same man as just been appointed. HOWEVER, these cannot be just any officers, they need to be chosen and plucked from either the Met or City Police, all with full powers of arrest and seconded ONLY to the LTPH Compliance Team.....NOTHING ELSE ! a hugely realistic and potent difference will be seen on them streets within TWO WEEKS ! YES, TWO WEEKS, JUST A FORTNIGHT! I know I'm an anorak, but I actually dream of doing that brief ! I would honestly do it for nothing ! It would be so satisfying to clear that lot out and make a massive difference ! Anyone with half an idea on this deployment could assure promotion and huge personal satisfaction on the back of the London Mini Cab Tout problem. As I say, the new man in charge ex- Met Superintendent Matt Bell is no slouch. He will know what is expected, know his patch and know how serious the problem is. However, its not Matt Bell who I am worried about, its the team of compliance officers that will be working with him that I have the problem with. Without powers of arrest, what are they going to enforce ? If they can't nick them, what can they do ? Give them a piece of paper that states that they are to be reported, cautioned and dealt with by law ? That maybe all OK if the car they have stopped isn't a ringer, or belonging to somebody in Strathclyde who thought the vehicle was still outside the fish and chip shop where they left it last night ! Issuing a paperwork form to a stopped driver seen touting is equally just as useless if it transpires that the driver has no driving licence, no legal entry into the UK and only yesterday was looking up a goat's arse hole from inside a desert tent in Syria. WHAT IS THE POINT ? WHERE IS THE FEAR FOR THE TOUT ? I have trained detection and protection dogs for over twenty years now. If you saw me remove a set of dentures out of a 55 kilo German Shepherd's mouth JUST before setting it on you...................would you be quaking in you're boots ? After all, if the dog can't bite you, what harm can it do you ? So when TFL let this new army of Compliance Officers loose with no powers of arrest, and no likelihood of vehicle seizure or custody potential for the tout onto our streets, what impact do you expect these officers to make to a hardened and habitual mini cab tout, then? Absolutely ! No impact whatsoever ! They will take the paperwork, and if its thin enough and like that carbon type paper, probably roll a spliff with it ! They will then drive round the corner and begin touting again, likely disenchanted that they have lost 30 minutes work ! Don't forget, a lot of these touts are used to looking down the barrels of machine guns, they ain't worried, frightened or deterred about a paperwork caution ! Folks, unless TFL employ a proper team of lawful enforcers out on those streets, instead of a battalion of ill equipped imposters..................the situation will, and can only get worse and worse and worse. I assume the 71.2% of our colleagues who called for the demo suspensions are fully aware now that the promise of adequate mini cab tout compliance is as hollow as a Tesco's Easter Egg ! That was merely a ruse designed for our trade to lose it's grip and combined momentum, that's all. The IRA used that ploy dozens of times in the 70's. It gives them TIME ! There is no doubt whatsoever, that the touting situation in London by both licensed and unlicensed mini cabs is epidemic. Unless something realistic and viable is deployed very soon to thwart it, there will be an uprising on our London streets. And that will be unhelpful to everyone. There is and always has been something in my mind that I worry about in relation to all this though. How about if TFL had absolutely no intention of stopping the touting problem in the first place, and were merely going through the motions to make it look like they were concerned ? On the other hand, I'm a pessimistic old dinosaur these days, and in the real world that I increasingly shirk from, that wouldn't or couldn't really happen. Would it ? Could it ? Course not ! I shall just have to keep taking my tablets !